We are not gardeners, my husband nor I, so I don’t know what compelled us to buy a place encircled by gardens. Perhaps it was easier to miss the enormity of the task when we made the decision in early April, before all the vines got their green on. We each have our own ideas about how to handle this mess we’ve gotten ourselves into. Dan’s is the weed whacker machine. Mine is to don gloves and pull. ‘Twixt the two of us, we’re making progress. He whacks and I come back in three weeks and pull. I work four or five hours a week at it. His job takes an hour or two now and then. I have to keep at it continually and it is hard to see I’ve done much. When he gets tired of looking at it, he whacks. The problem with whacking is that it’s so indiscriminate, taking out flowers and perennial plants along with tall grass and noxious weeds. The problem with pulling is that it’s so labor-intensive and slow. The obvious advantage of weed whacking is that it is fast and when it’s done it immediately looks good. But when the weeds are pulled up by the root, they’re done. Forever. Kaput. Eventually, flowers intact, the garden will be beautiful. It is hard to wait for eventuality. It is also difficult to make oneself get up before dawn, spray down with insect repelling oil, dress like a conservative ninja and go tackle the mess. One must be a tortoise and plod after the task, day after sweaty day. I saw pull. It’s permanent. A tortoise must also be a visionary, inspired by pictures in her head of how the garden will be “next year.” Gardeners do that. We know because they plan their gardens in the snow, ordering seeds in February, cooking compost in sub zero temperatures and planting twigs that will be trees someday. 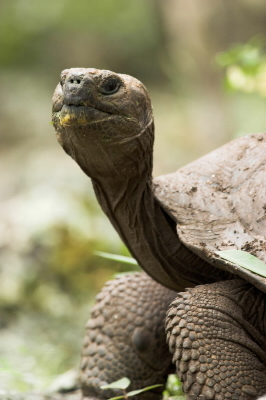 Tortoises are good at anything that requires patience: saving money is a good example. Ben Franklin is attributed with saying, “A penny saved is a penny earned.” One doesn’t get far with pennies nowadays, but I will go out of my way to save a dollar or even a quarter. I am frugal. I buy used. I shop around online. I use up what we have. I buy on sale but I don’t overbuy because it hurts me to have to throw away something grown old or because we don’t like it any more. I save nickels and dimes and dollars. It’s slow. I am a patient tortoise. Dan is the money rabbit and I’m so glad for that. He makes coins faster than I can sparingly spend them. I’m also pleased when he speedily makes the garden look wonderful and gives me a day off from weed pulling. But I do wish he’d slow down and spare the flowers! This entry was posted in Short Takes on Life and tagged pulling weeds, saving money, slow but sure, slow down and smell the roses, tortoise and the hare. Bookmark the permalink.